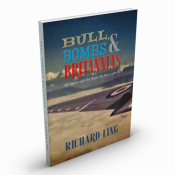 In this, the second instalment of his memoirs, Richard Ling picks up the story from Bull, Bombs & Britannias, in which he recalled his formative years and subsequent career in the Royal Air Force. 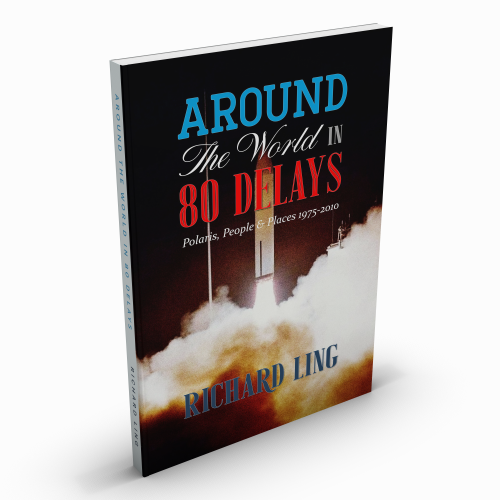 In Around the World in 80 Delays Richard describes the eventful decades that followed, beginning with his involvement with the Atomic Weapons Establishment (AWE) and the Chevaline/Polaris missile programme at Cape Canaveral, Florida in the mid-1970s, when he was a member of the British team during test firings of the UK’s nuclear deterrent. Along with the hard and often hazardous work there was much else to be experienced in the Sunshine State and plenty of scope for international misunder­standings, leading to a variety of amusing incidents. Richard’s subsequent career was as a globetrotting sales executive, working for a succession of US and UK companies – including Hunting, AirSupply International, Meggitt, Avica, Bestobell, Sweeney and Pacific Valves – selling a variety of com­ponents related to the aviation and petrochemical industries. In this capacity he toured the world many times over, calling on the head­quarters of major aircraft manufacturers, international airlines and oil companies. His recollections provide a fascinating insight into a world unknown to many of us, of international travel, high-level meetings, multi-million pound contracts and wining and dining at the world’s finest eateries. It might sound glamorous but Richard is quick to dispel that illusion with many tales of the ways in which even the best laid plans can go awry. The joys and frustrations of exhibiting at the Paris and Farnborough International Air Shows is also remembered, along with Richard’s own ambition to fly, realised when he earned his Private Pilot’s Licence and subsequently clocked up many hours of recreational flying. On a more serious note, he recalls an unfortunate accident which he was lucky to survive, when a fall from a ladder left him with a fractured skull. Thanks to the skill of neurosurgeons at Oxford’s John Radcliffe hospital he made a remarkable recovery and soon returned to work. For the last decade of his working life Richard was employed once again by AWE, for whom he had worked many years previously on the Chevaline project. Post retirement he enjoyed a part-time job at Oxford University, where in the very different world of academia he made many friends and enjoyed a stimulating working environment. All this and more is described here with candour and good humour.